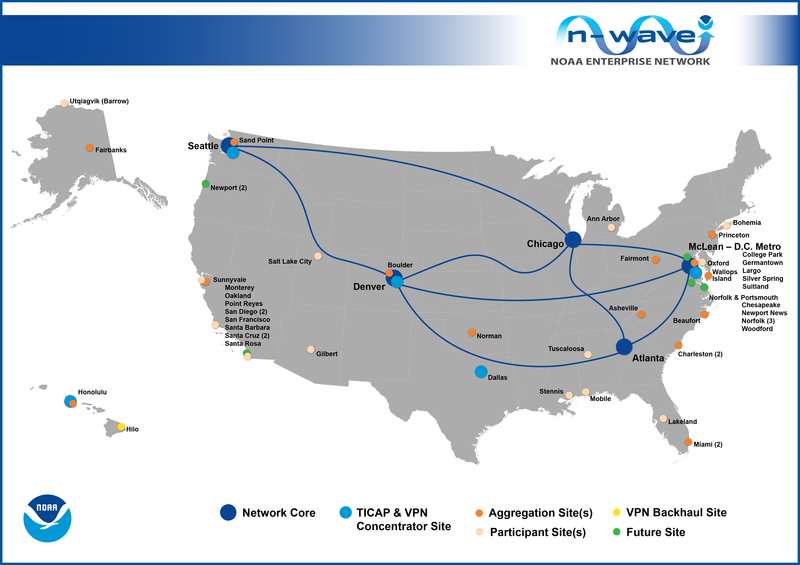 N-Wave is NOAA's Enterprise network. N-Wave is built on partnerships and relationships among NOAA and the Academic and State research network communities, connecting researchers to the data and resources needed to advance environmental science. The N-Wave Network Operations Center is reachable 24 hours a day, 365 days a year. Use a form to Report a Problem - automatically generates a trouble ticket.